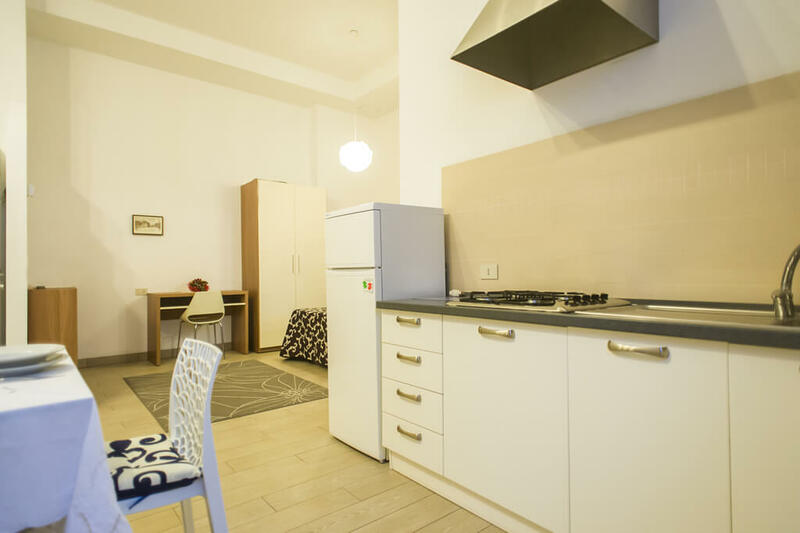 heating, cookware, safety deposit box, private parking place with shaded fence, free Wi-Fi connection in the whole facility. 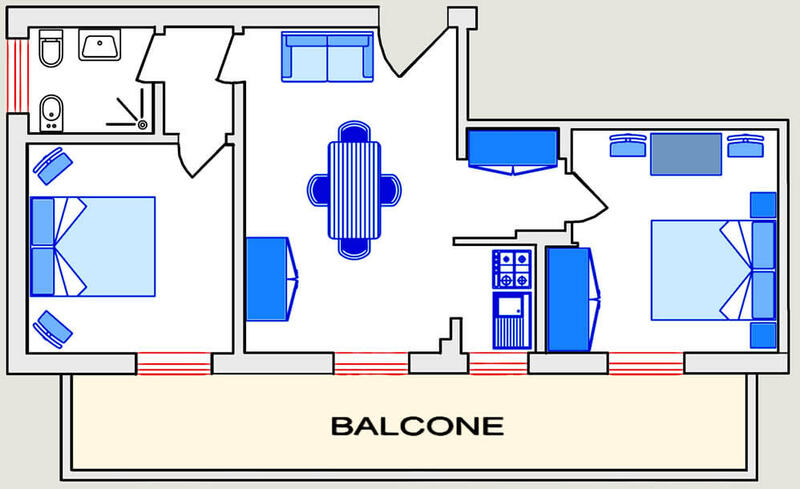 The residence has a lift. 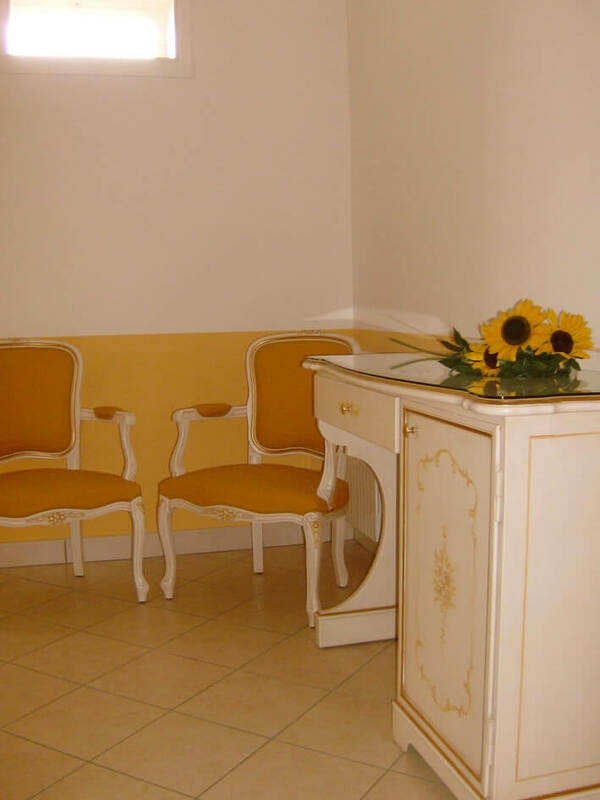 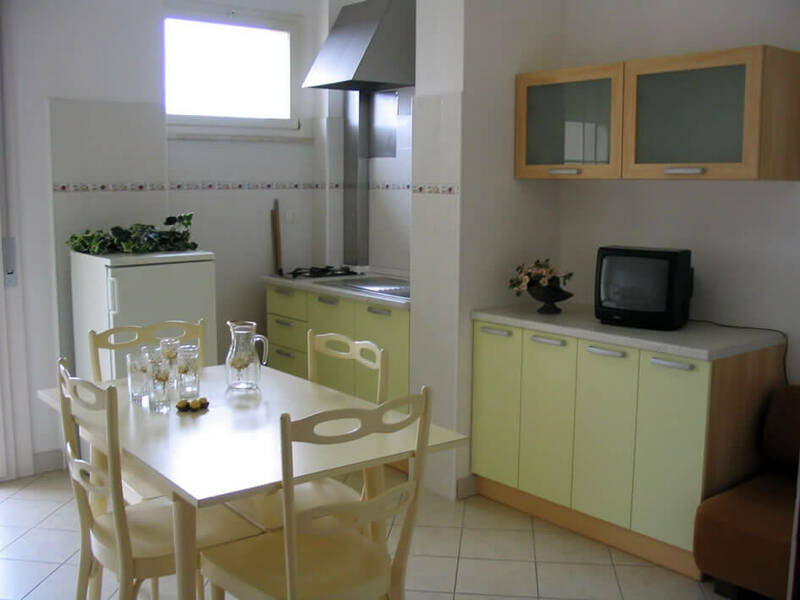 Three-roomed apartment of approximately 60 sqm. 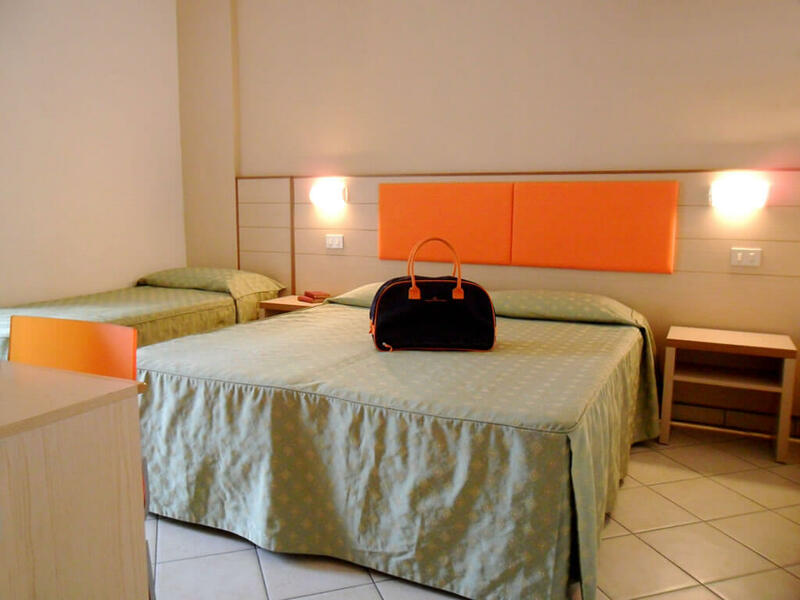 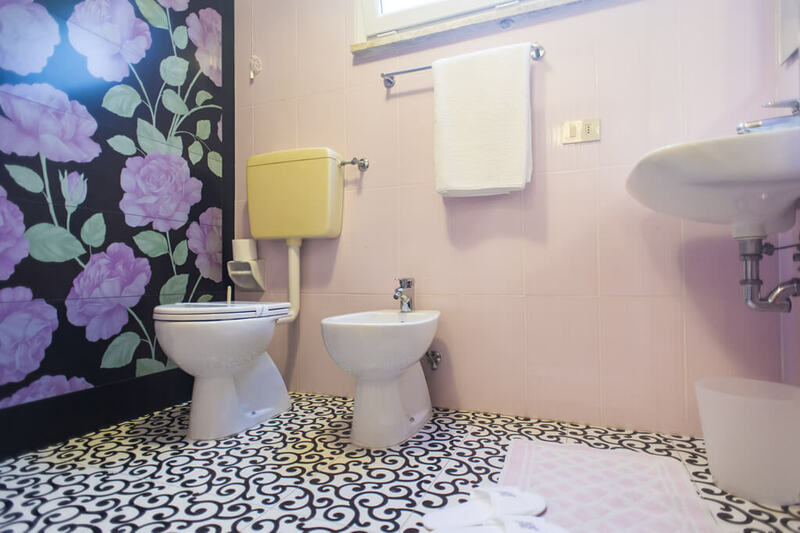 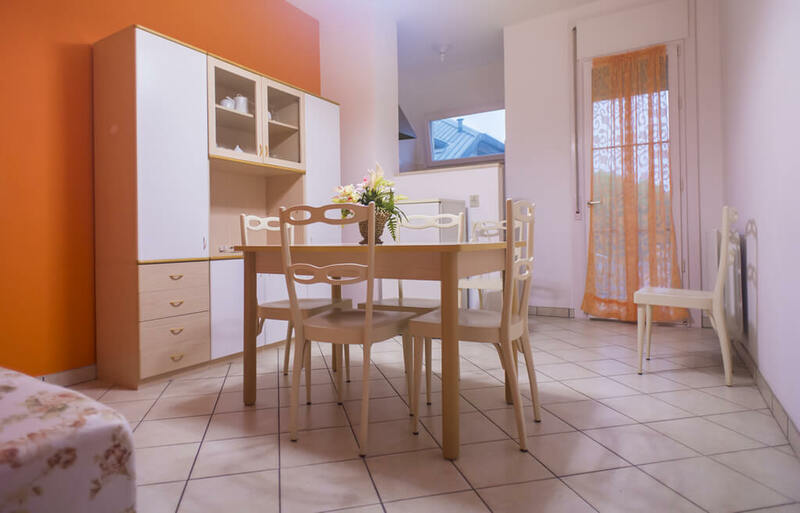 divided into 2 bedrooms (1 double room and one triple room), 2 bathrooms with shower and hair dryer, dining room with kitchenette equipped for the preparation of meals with the possibility of requesting a dishwasher, private safe, balconies. 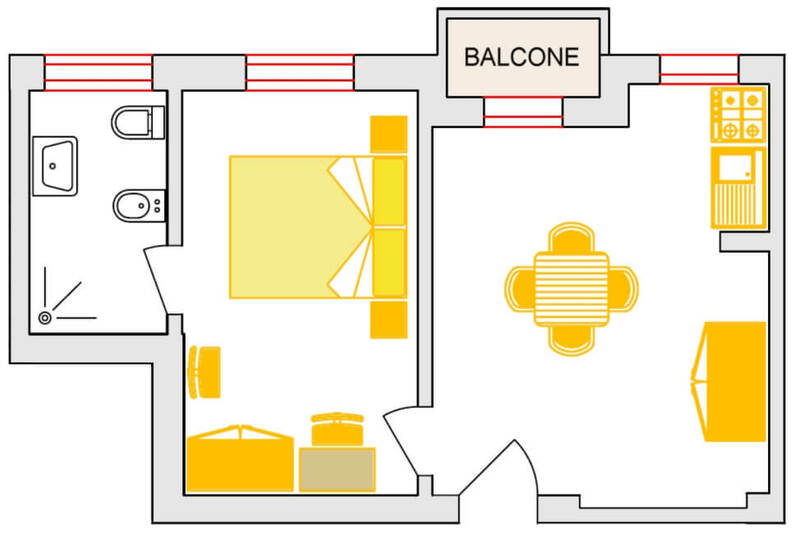 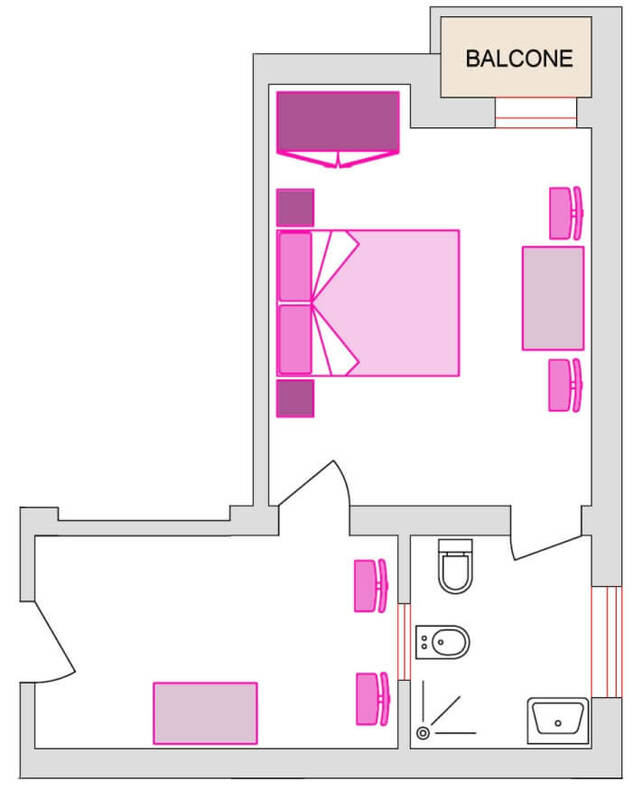 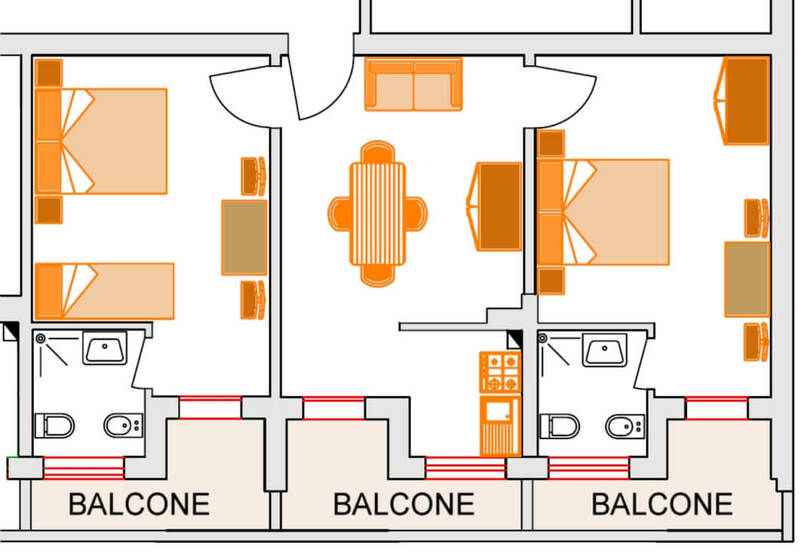 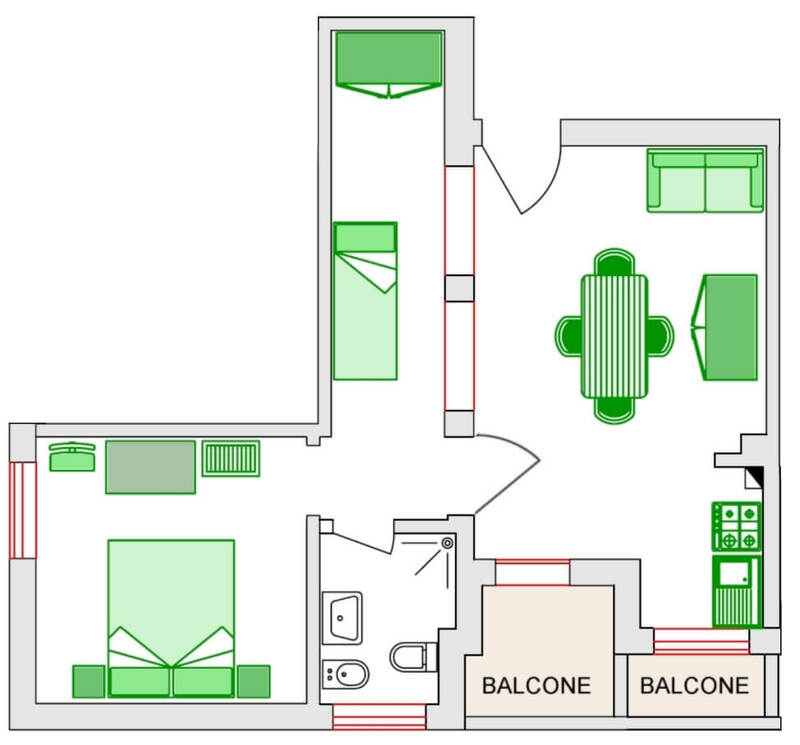 An ideal space for the couple who loves spacious and comfortable environments, the Suite Comfort offers an open space with living room and fridge, a double bed, bathroom with shower and hairdryer, balcony. 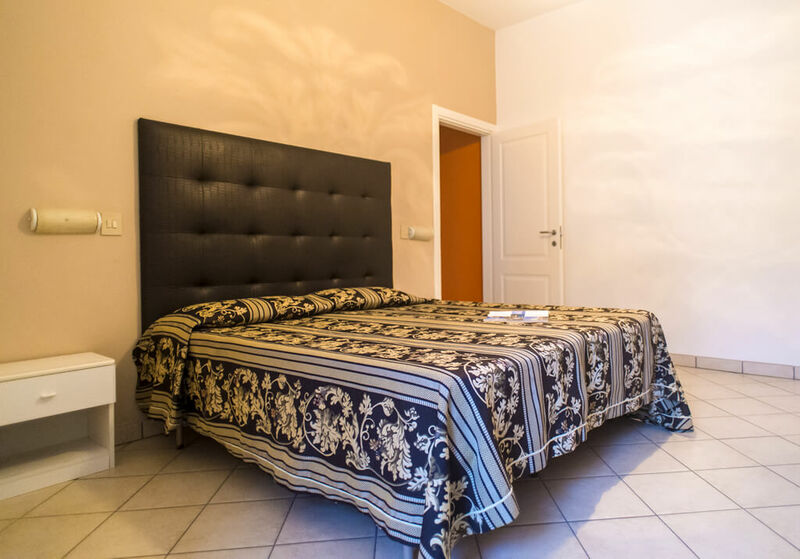 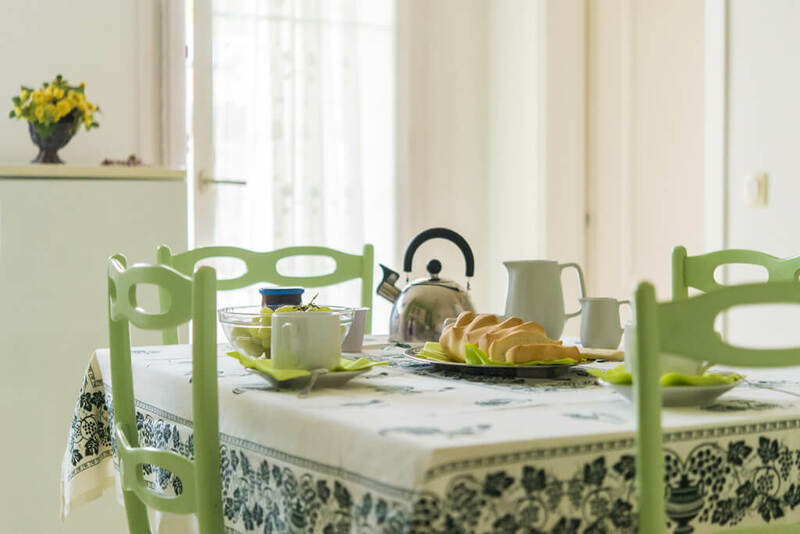 Comfortable two-roomed apartment composed of dining room, kitchenette equipped for the preparation of meals, bedroom, bathroom with shower and hair dryer, private safety deposit box and balcony. 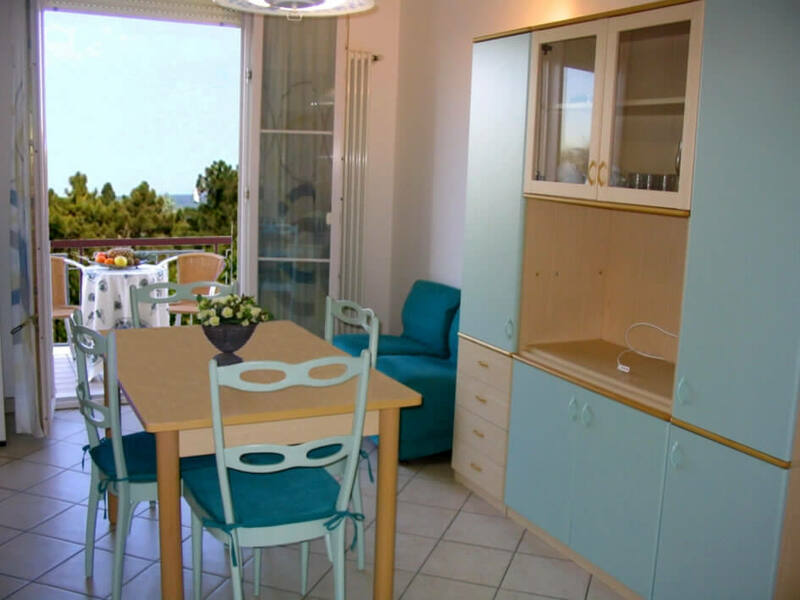 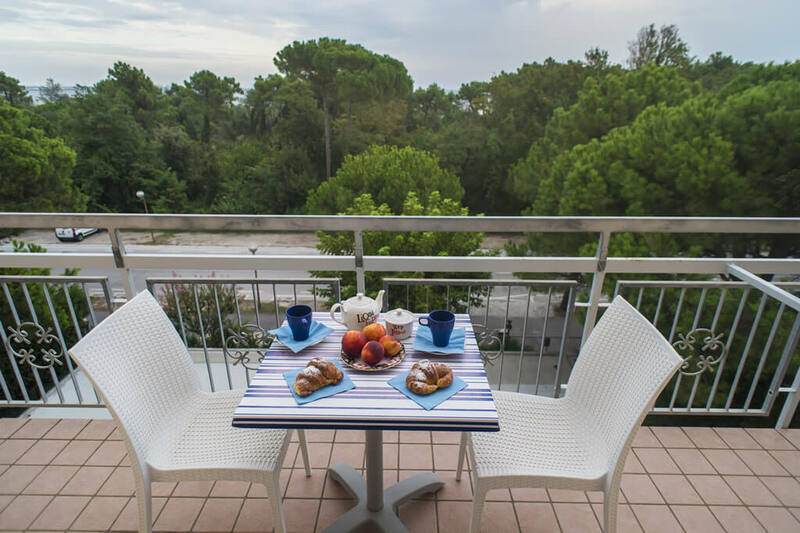 Spacious two-roomed apartment equipped with dining room, equipped kitchenette, double bedroom, room with single bed, bathroom with shower and hair dryer, safety deposit box, balconies overlooking the sea and the pinewood. 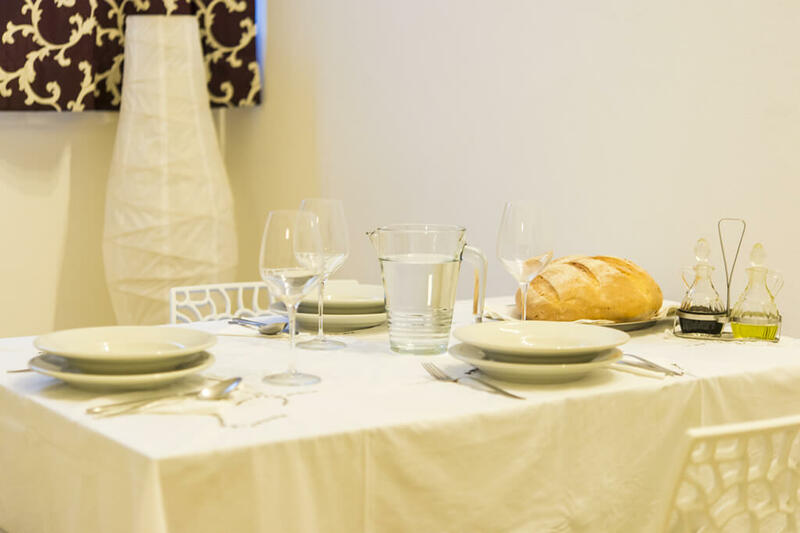 Comfortable three-roomed apartment composed by dining room, kitchenette equipped for the preparation of meals with dishwasher, 2 double bedroom, bathroom with shower and hair dryer, private safety deposit box and a large balcony. 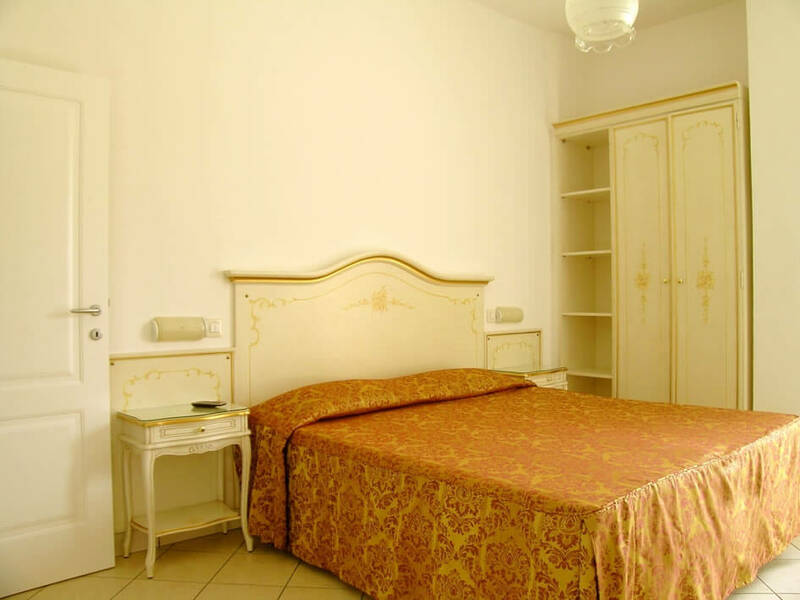 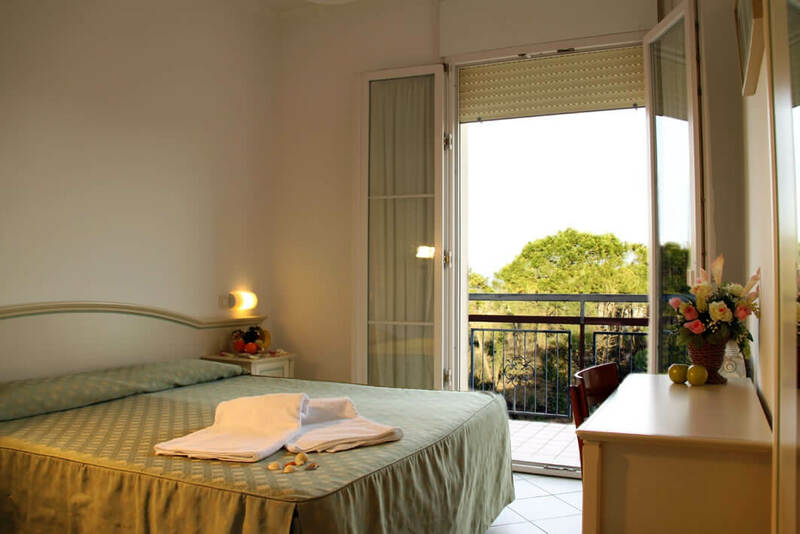 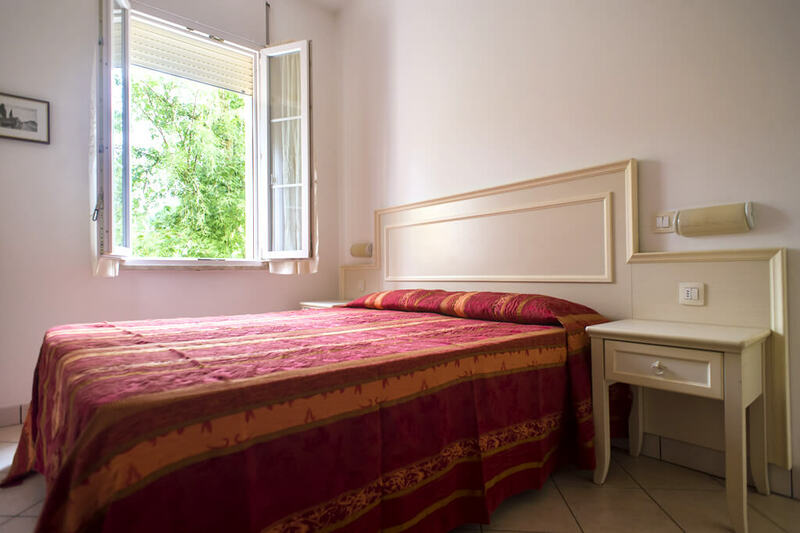 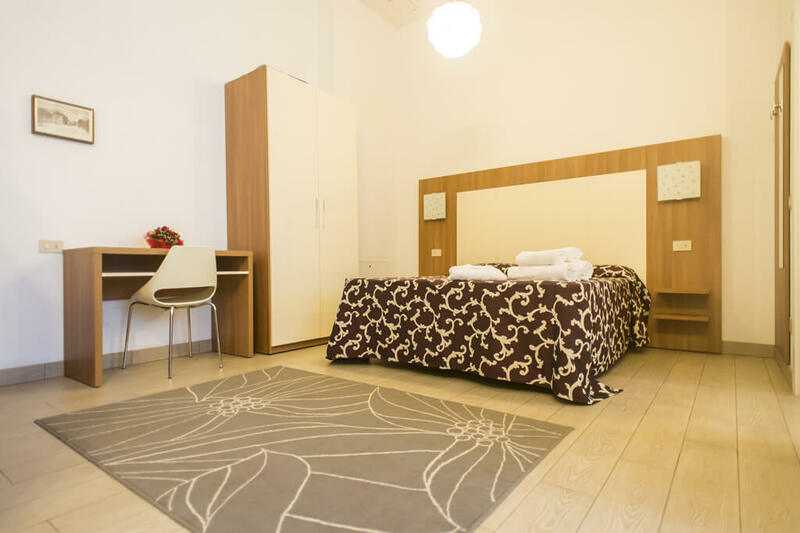 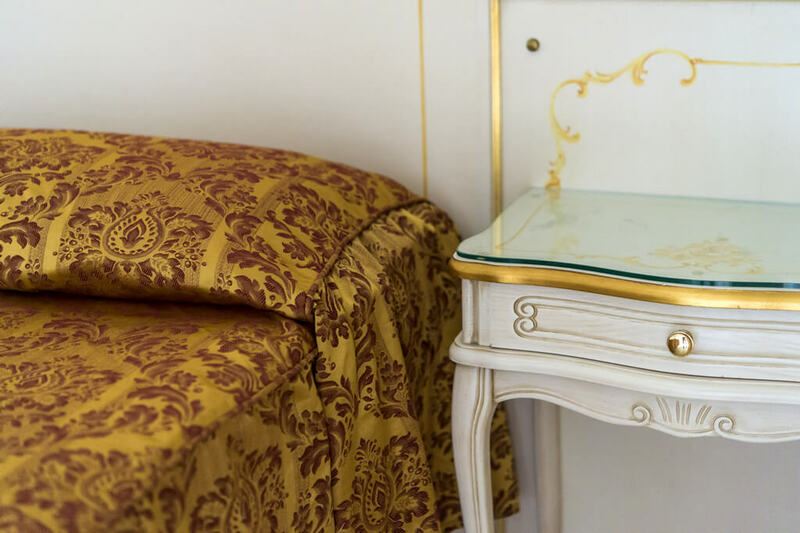 Composed of a double bed plus a single bed, dining room with kitchenette equipped for the preparation of meals, bathroom with shower and hair dryer, private safety box, without balconies.